AND HAVE THE CORRECT DOCUMENTS. To display the product in a commercial and aesthetic manner in accordance with our standards, in order to maximise sales. To be responsible for the store image at all times. To ensure that the store is attractive and commercial. To ensure that the image and replenishment standards are applied by the entire team. To possess a good product knowledge and fashion awareness. To be familiar with the entire collection and the product/customer profile of the store. To be familiar with the season’s trends, the collections of other brands, etc. To know and apply the visual merchandising standards of the brand and of the season. To communicate, apply and explain the Urban Revivo visual merchandising standards. To adapt the standards to the needs and profile of the store. To be able to manage unforeseen situations related to the collection and/or product. To produce commercial stylings and silhouettes. To be responsible for producing sections that correspond to the season and the needs of the store. 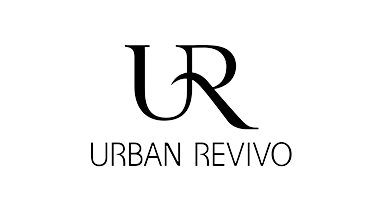 To know how to adapt and/or modify the product in accordance with the available stock and the Urban Revivo standards. To have a commercial vision and demonstrate this in the store sections in a practical and aesthetic manner. To be responsible for the application and follow-up of all guidelines issued from Headquarters. On a daily basis, to check the e-mails and lists associated with the product and merchandising. To adapt and apply the necessary changes in order to comply with the standards. To ensure that the product is displayed in an appealing way. To be familiar with and respect all the merchandising and furniture guidelines. To apply and even adapt the standards to optimise the commercial display. To ensure that the card display materials correspond to the product and/or occasion. To ensure that the illuminated poster displays are correctly displayed. To adapt the card display materials to the furniture displays and the moment – promotions, sale periods, etc. To supervise all visual elements that affect the image – still life displays, lighting, accessories, etc. To continuously advise on the competition and trends. To be able to manage the TOP 40 ranking. To understand the content and usefulness of the company’s product rankings. To know how to analyse and cross-reference data with store profile and sales. To manage the product in an optimal and commercial manner. To plan changes in accordance with profitability. To adapt the product to the needs of the store and the available stock levels. To know the profitability of furniture displays and their percentage weighting in sales. To monitor sales by areas, sections and even furniture displays. To know how to get the most from the strategic areas of the store. To be familiar with the entire collection and its sales potential. To adapt the product to the store profile. To know how to detect what affects sales (profile, climate, etc.) and adapt the merchandising accordingly. To update the Merchandising and Rotation rail daily. To ensure that the merchandising information for the store is updated. To keep all the information and changes regarding the basic standards up to date. To print and organise all the important messages. To produce precise visual messages to inform the store team. To anticipate all the materials required to make changes in the store. To prepare garments for display (sizes, hanging, fitting alarms, etc.). To group the required materials (hangers, displays, etc.). To continuously ensure the correct replenishment of the store. To know and apply the product density standards (replenishment). To inform the team of the standards and requirements in order to maintain the density levels during continuous replenishment, according to furniture display and/or target. To perform store changes in a quick and orderly manner. To control and manage stock (both in transit and in the stockroom). To check the daily deliveries of goods and establish priorities. To advise on new items (rail) and garments pending arrival. To hold daily product briefings with the store team. To analyse the sales – best by families/products. To explain the store merchandising changes made or in progress. To present the newest items and make suggestions regarding out of stock garments. To prepare and encourage the product and trend briefings. To produce visual panels to support the trends. To prepare and explain complete outfits to offer the customers. To explain the merchandising and furniture display standards to the team. To continuously report on his/her work to the store managers. On a daily basis, to report his/her sales analysis and Rankings to the managers. To report and justify the merchandising changes carried out every day. To report on the stock levels of key garments to the managers. To provide specific and additional support to the store managers. To know how to manage the store opening and the staff planning. To be able to manage unforeseen situations involving customers and employees. To have sufficient autonomy to take charge of the store temporarily if required. To pass on product information – feedback (his/hers, the team’s, customers’, etc.). Knowledge and awareness of fashion. Good communicator – listens actively and communicates in a clear and structured manner. Is friendly, cordial and polite. Prioritisation – optimal use of time. Initiative and willingness to improve. Acts quickly and is multi-disciplinary. Company Merchandising and Image Standards. Product knowledge and an interest in fashion. The collection and all its potential. The different rankings to be analysed. Product awareness and commercial orientation. Ability to adapt – energy and speed. To Apply for this vacancy please click on the APPLY button below and follow the application instructions.